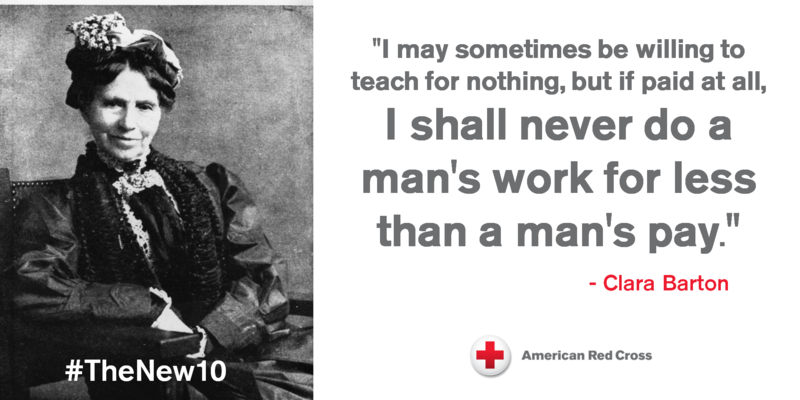 Clara Barton (1821–1912) was an American nurse, suffragist and humanitarian who is best remembered for organizing the American Red Cross. I covered her last year but wanted to revisit her story as I traveled to Johnstown, Pennsylvania where she organized a massive flood relief in 1889. The American Red Cross, led by Clara and including 50 volunteers undertook that relief effort after the Johnstown Pennsylvania flood that killed (by one account) 2,209 people. Per my blog last year: Following the outbreak of the Civil War, she independently organized relief for the wounded, often bringing her own supplies to front lines. As the war ended, she helped locate thousands of missing soldiers, including identifying the dead at Andersonville prison in Georgia. Barton lobbied for U.S. recognition of the International Committee of the Red Cross, and became president of the American branch when it was founded in 1881. Barton continued her humanitarian work throughout several foreign wars and domestic crises before her death in 1912. In recent years, a Red Cross historical marker was installed in Johnstown to honor Clara Barton and the Red Cross volunteers who assisted during the flood.